The 2019 season will start on the River Devon and at Glenquey on Friday 15th March ………. though judging by the current state of the river and the forecast rain for tonight, the river is likely still to be thinning out from another spate on the opening day (then Saturday is forecast to be absolutely Baltic). Despite the forecasts, I am sure that some of our keener enthusiasts will be out on the river this Friday and Saturday and Glenquey will get its first casts on Friday. 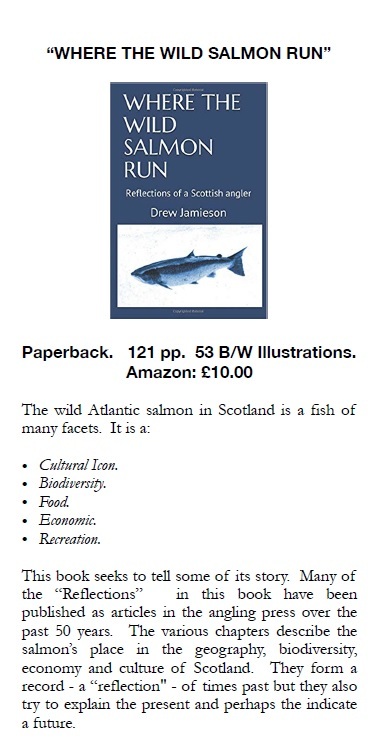 In the last update we were in the middle of the wee ‘fake spring’ burst of warmth, where fish were seen rising on the river and at Glenquey. I expect that this burst of wet weather will recharge all the reservoirs and groundwater levels …….. which normally leads to good spring trout fishing on the river once temperatures (air and water) rise. In the meantime the work parties have been busy! Good luck to all our members and visitors for the 2019 season! 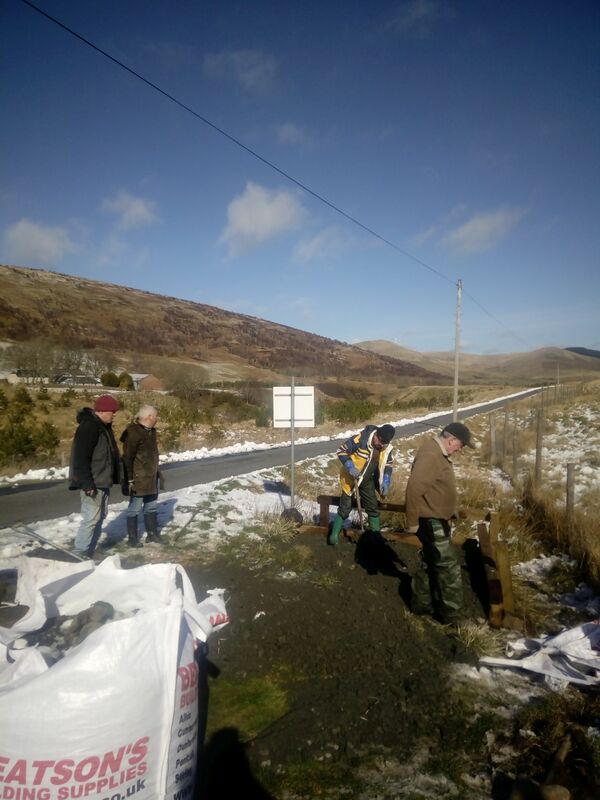 Its Saturday 23rd of February, with only 20 days to the start of the 2019 Season and in stark contrast to this time last year it feels like spring is just around the corner …….. no doubt by the time March 15th comes around Glenquey will be frozen and the banks will be wreathed in snow! Fishing either side at Dollar Weir will not be permitted – traditionally we did not permit fishing either side of the weir during September and October. The Forth District Salmon Board are now enforcing the regulations and we are required not to allow fishing at anytime. The old yellow marker posts will be repainted and the FDSB will be setting notices to this effect. Notices will also be erected at Cambus, so we will be interested to see how that is enforced! Salmon fishing effort to be reported – The mandatory salmon return required by the DAA for salmon anglers now not only requires a record of all fish caught and returned, but also a record of the effort put into endeavouring to catch salmon. 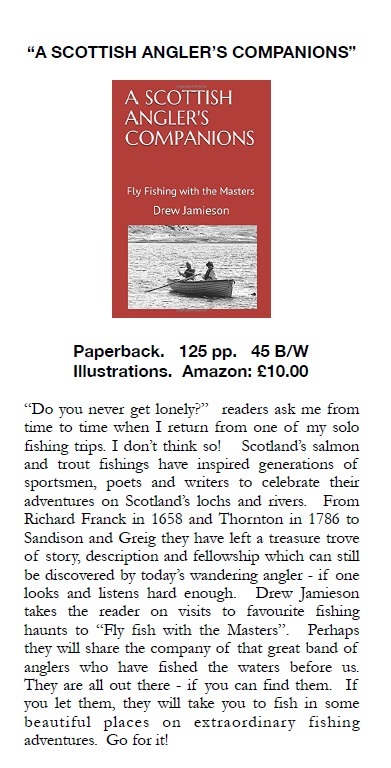 You are now required to keep a record of the numbers of days spent on the river endeavouring to catch a salmon (even if you are on the river for an hour count that as a day). This will allow Marine Scotland to review not only the number of fish caught but also how much effort it took to catch those fish. Members of the DAA committee assisted the Forth Rivers Trust as they began their ‘Fish in the Classroom’ programme at Tillicoultry Primary School. 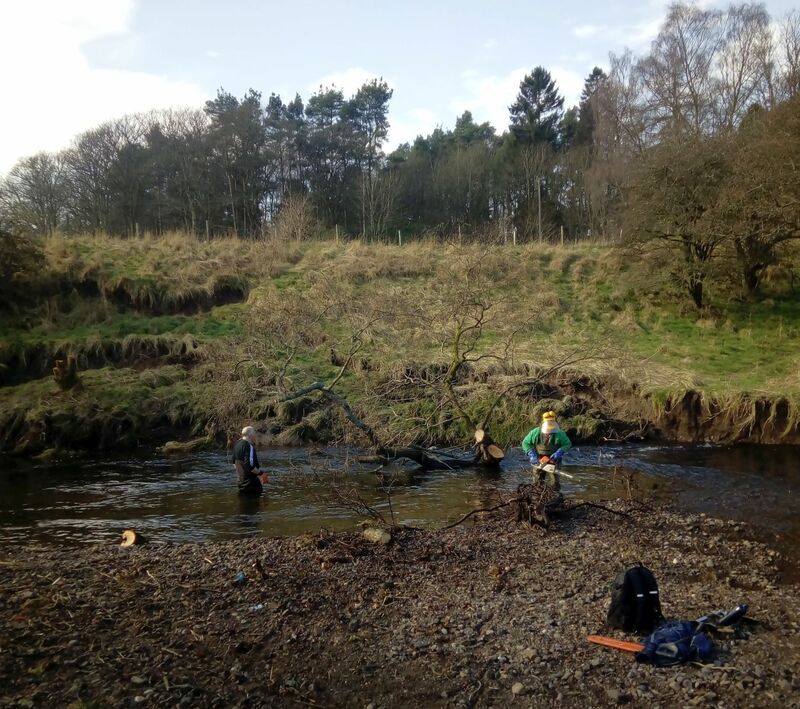 Once again we thank EPIC [Enabling Projects in Clackmannanshire] for funding and supporting the DAA with this important opportunity to engage with young people about the wonders of the freshwater habitat on their doorsteps. Some may become anglers but hopefully all will begin to understand the importance of protecting rivers and burns. Work is ongoing with local landowners to address the continuing problems of cattle encroachment on the river below Dollar. The work parties are gearing up for their annual campaign of clearing the winter’s toll on bankside trees before the endless toil of clearing paths begins. The work parties are planning a campaign of clearance in the ‘Devon Gorge’ between Muckhart Mill and the Cauldron Linn. This is one of the remotest parts of our fishery, best suited for a full days exploration with a rod. Access takes (a lot of) effort, access/egress to the river can be difficult but on the right day the fishing can be superb. The plan is to clear fallen lumber only ……. it will remain a proper expedition to fish here! Best of luck for new season to our members and visitors …………. and please share your experiences with us! On a fairly miserable evening out of doors, 24 members of the Devon Angling Association attended the Annual General Meeting at the Royal Arms, Tillicoultry. The meeting was opened by DAA President Bryan Anderson who set out some of the challenges that the Association has faced in 2018 apart from the persistent summer drought, including the requirements of the Scottish Government and their agencies in controlling salmon fishing. Hon Secretary, David Mudie paid tribute to Gordon Forbes who passed away during the year; he had a faithful servant of the work parties and served on the committee until ill health forced his retirement from active service with the DAA. EPIC donation – The DAA was delighted to receive a donation of £1000 from EPIC [Enabling Projects in Clackmannanshire]. This money is ring-fenced, half the sum will be used by the DAA to support Forth Rivers Trust ‘Fish in the Classroom’ project. Last year we worked with Alva PS and in 2019 we will be working with Tillicoultry PS. The balance is to be used for equipment for clearing paths and accesses along the river corridor. We are extremely grateful for the support of EPIC. Salmon catch returns – Marine Scotland will require a measure of rod effort for salmon returns (number of days fished per fish caught). The catch return forms will be amended to suit. Permit prices – after considerable debate over the last year by the committee and at the AGM it has been decided to raise permit prices. Permit prices have remained at the same price since 2007 and we don’t anticipate any further requirement to increase permit prices in the immediate future. There will be no change to juvenile permit prices. Adult trout season permits will be £20 (£17 in 2018) and Salmon/Sea Trout/Brown Trout permits will be £50 (£45 in 2018). Glenquey permits prices will rise by +£1 to £12/day for non-members and £8/day for members. Stocking Policy – the DAA committee have agreed to continue the policy of not stocking the Devon. We did not stock the river in 2018, in part prompted by the closure of Howietoun Hatchery in 2017 and the lack of alterative suppliers of triploid Brown Trout. 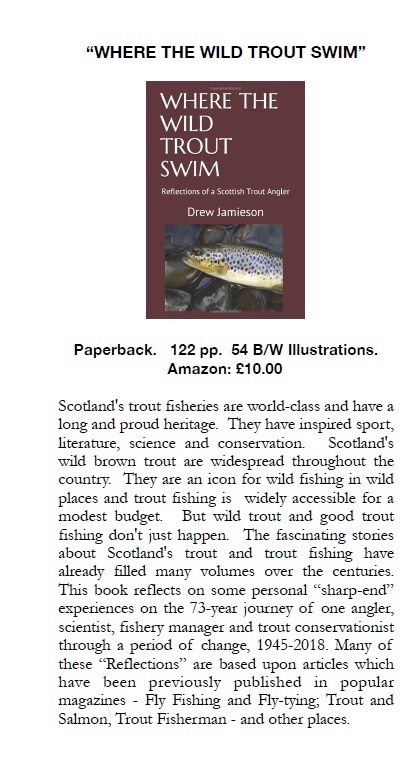 Marine Scotland licences for stocking require that only triploid (sterile) trout can be used for stocking rivers. The committee are persuaded by the advice of fishery biologists and the Wild Trout Trust, that the stocking of triploid trout has a negative overall impact on wild Trout and Salmon stocks, principally as triploid trout are sterile, continue to feed right through the winter, eating mostly juvenile trout and salmon. The DAA and Forth Rivers Trust will be measuring and monitoring the impact of the policy. Cattle poaching river banks downstream of Dollar – The committee are working hard to come to agreements with the landowners and their tenants to restrict access to the river by cattle to hopefully control the damage they are doing to the banks. The meeting closed at just before 9pm just after the date for the 2020 AGM was set for Tuesday 14th January 2020. A collection of fly-tying equipment including vices Fly-tying equipment including vice, capes etc. is available for sale; an ideal way to get into making your own flies!